Dog Harness Made of genuine leather 1.5" wide. Strong and durable. 3 adjustable straps. Lighter weight. Allows the dog to have relaxed movement of muscles. Makes it flexible and efficient. Made of 1.5"wide and 3/16 thick high quality genuine leather. XLarge size, will fit chest 33"-37". 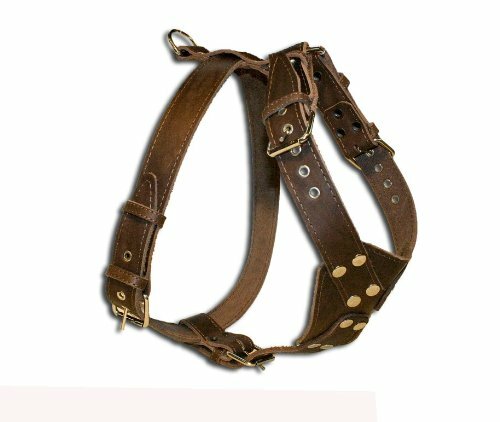 Brown Genuine Leather Dog Harness, Large to Xlarge.